This statistic depicts the average annual household expenditure per consumer unit in Canada in 2017, distinguished by household type. 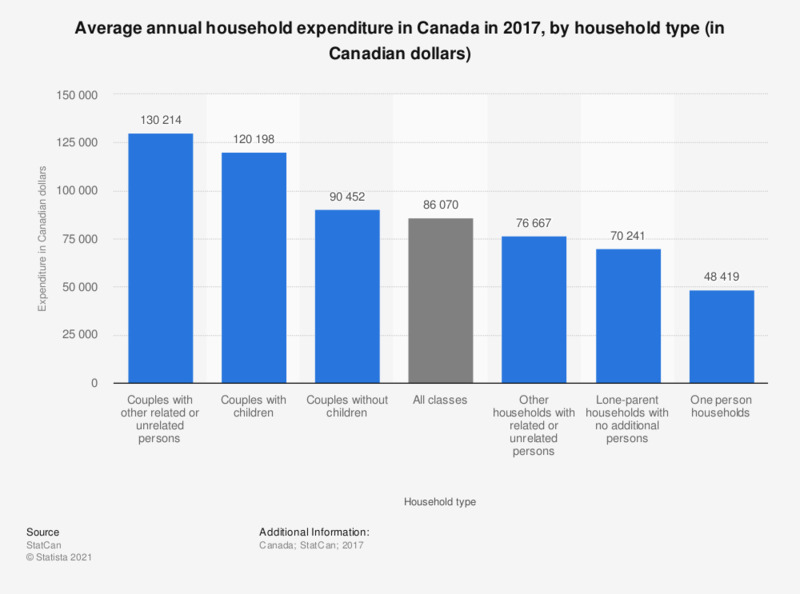 In 2017, a Canadian couple with children, spent an average of 120,198 Canadian dollars annually. Children are defined as never-married sons, daughters, or foster children of the reference person and may be of any age. Thinking of each of the following situations, have you used a postcard to inform people?